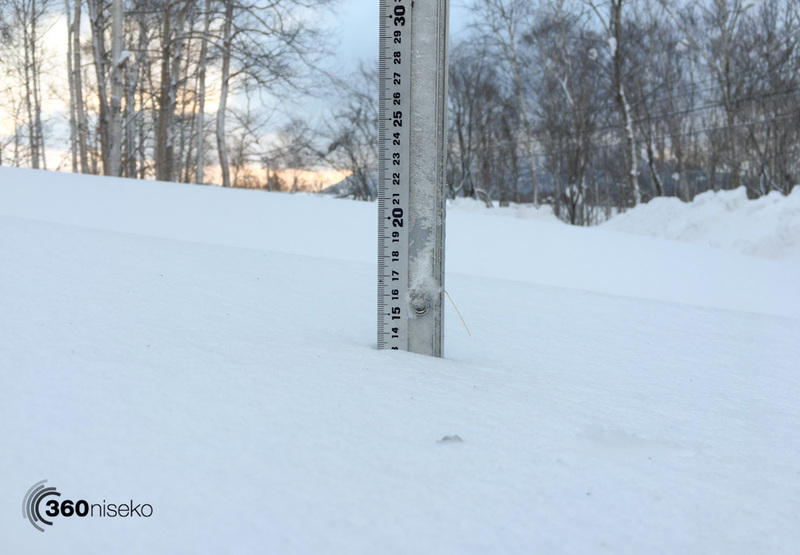 *13cm has fallen in the last 24 hours in Niseko. At 06:45 today the temperature was -3°C. 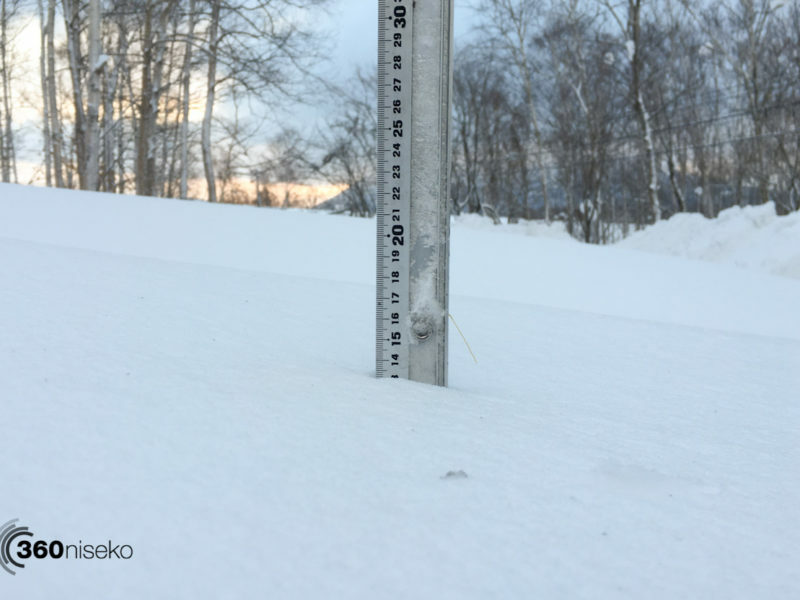 The storm has passed through but there is still quite a bit of wind around so it remains to be seen what lifts will be running today. There will be some incredibly deep snow drifts out there and there will no doubt be areas with amazing conditions. That being said the snow conditions will be variable with exposed windblown icy sections. Wind loading on cornices will also be extreme and the avalanche risk will be very high. We can expect the temperature to creep up today so suggest be being up there early and fingers crossed the lifts can operate this morning! !